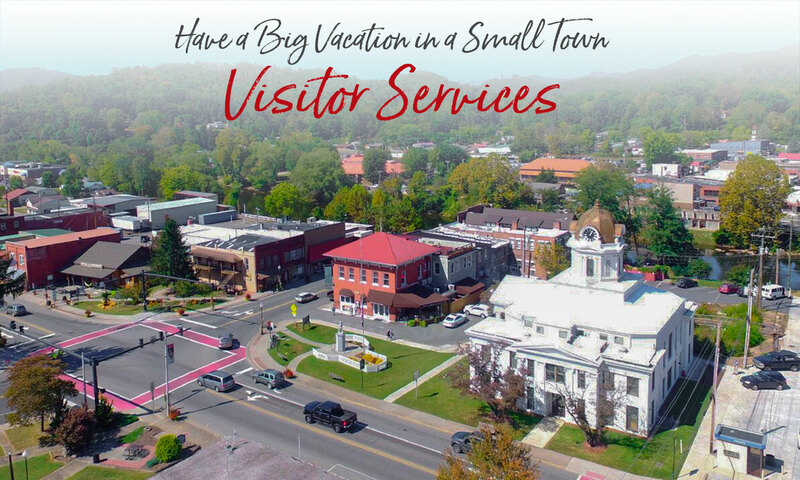 Here are a few basic services you may find helpful when planning your visit or while you are here. Other services – such as civic organizations, churches, hair salons, etc. — may be found on our Bryson City Businesses page. In Bryson City, liquor is only sold at ABC Stores. Beer, wine and mixers are sold only at grocery stores, convenience stores and package stores within the city limits. Hours for beer & winesales vary from store to store, but are allowed to be from 6 am to midnight, except on Sunday, when sales are permitted from 10 am – 2 am. The Wesser General Store in the Nantahala Gorge (open seasonally) also carries beer and wine. Turn onto Depot Street at the train depot, turn uphill on Richmond Street to hospital. Computers for Internet use; wireless available. Children’s programs, movies. Open Monday – Saturday. After hours emergencies, call REACH in Asheville at 828-665-4399. Open 24/7. Located in the 1908 courthouse. Visitor Center / Heritage Museum / Great Smoky Mountains Association Bookstore. Wireless Internet is available throughout most of downtown. Look for WiFi. There is a time limit of around 1.5 hrs, but you are able to sign in again. Computers are available for public use at the Marianna Black Library (Mon-Sat), corner Academy & Rector Streets (one block up the hill from the Main/Everett intersection) 828-488-3030.